Cities developed as separate countries, called "City-States." 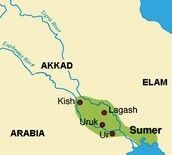 Sumer was a collection of 12 ancient city-states that developed in the southern region of Mesopotamia. 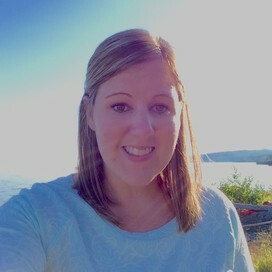 Priests managed the god's land, directed worship, and governed the city. Hammurabi later conquered the region and instituted his code, which consisted of 282 laws affecting all aspects of life. Each city-state belonged to a different god. People believed that the gods had the power to destroy their cities with floods. Sumerians believed in "Polytheism," or the worship of many gods. 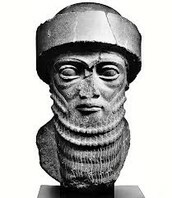 Most of the people of Sumer were farmers. Because plenty of food was produced, others were able to work as traders and artisans. Only upper class boys received an education. Priests ran schools that were set up in temples. 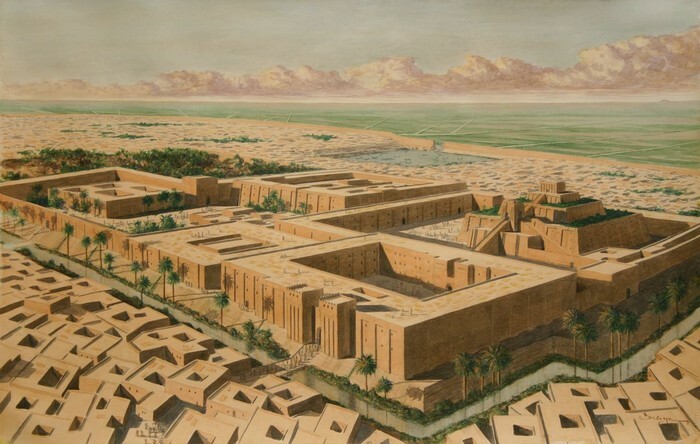 Ziggurats, or massive step-like towers were erected in the center of each city. This was done to please the gods. Houses were built out of sun-dried clay bricks. With the help of irrigation, farmers grew grain, vegetables, and dates, and raised cows, sheep and goats. 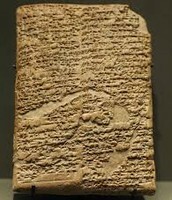 The Sumerians are the first people on earth to invent a system of writing. 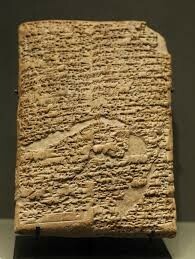 Cuneiform consisted of 600 symbols drawn on soft clay tablets that dried in the sun and became hard. See the Ziggurat at the center.